ASC 5.45x39mm 10rd/30rd body magazine. 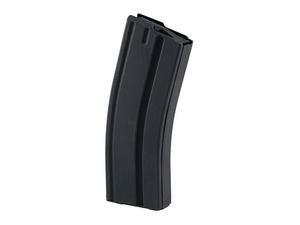 These are a 10rd mag with the look of a 30rd magazine for 5.45x39 AR upper receivers. Stainless steel body with a black teflon finish. Please Note ASC does not manufacture a 10 round magazine. These magazines are modified by us to meet the demand for these magazines in the California market. These magazines are permanently modified and the floor plate cannot be removed. RifleGear will handle any warranty claim on this product. Please contact Riflegear if you receive a defective magazine.